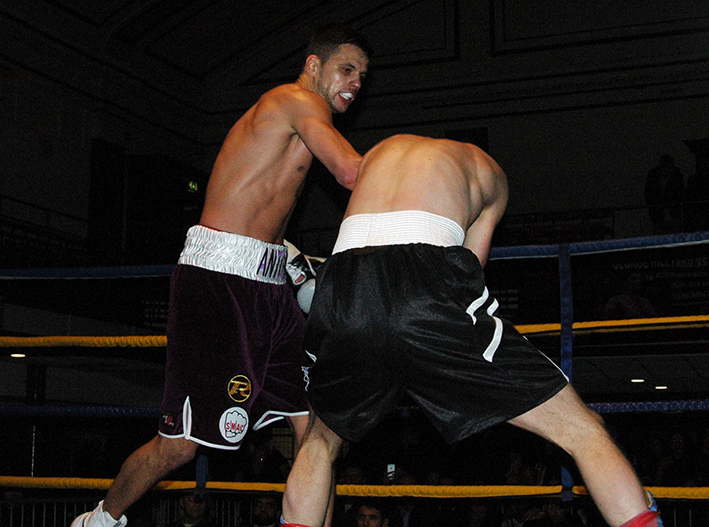 London – Tuesday, 17th March 2015 - Birmingham Lightweight sensation Antonio Counihan is back in action this week, against Richard Walter, on the Stephen Vaughan promoted RED MIST event at the Grand Central Hall in Liverpool on Friday, 20th March 2015. Since turning pro in October 2013 Counihan, the former England Amateur team Captain, has proved to be one of the UK’s top prospects of the Lightweight division, scoring five top class wins, four of these by stoppage finish, with Poland’s Marcin Ficner being the only opponent to go the distance with the young Brummie star. On Friday Counihan will face Richard Walter, who stepped in at late notice after his original opponent was forced to withdraw with a hand injury. Walter comes into the fight off the back of an excellent first round stoppage win over Rene Oravek in February, however that doesn’t seem to bother Counihan one iota, as he made clear when he spoke earlier today. “Really looking forward to Friday, should be a very good night. I have only just heard that I’ve got a new opponent, Richard Walter, don’t know much about him yet as this has just been announced. I know he stopped his last opponent, so should be a good close fight, which suits me. Have to admit I’m a bit disappointed with such a late change, but what can you do, fighters get injured in the gym all the time, I’ll just go out there and box the way I always do and if all goes well I’ll get another good win under my belt. Had five fights now, won all of them, four of them by TKO, so am looking forward to moving up the rankings because I want a shot at a title soon. Last time out had a real good fight with David Kis, I was really happy with the way that fight went. It was a real good performance, I was happy with it, listened to my corner and did as they said and got him out of there in the third. Hopefully I’ll put in a similar kind of performance on Friday, I’m not saying it will be another TKO win, but if it happens I’ll be well pleased, I just want to put on a good performance for the fans. Talking about my fans, they really are fantastic, they travel to watch me fight every time, I can’t thank them enough for their support, I mean they’ve had to travel to London for four of my fights and now here we are on the road again, this time Liverpool and they’ll be there cheering me on once more, they really are brilliant. Antonio Counihan versus Richard Walter features on the Stephen Vaughan promoted RED MIST event at the Grand Central Hall in Liverpool on Friday, 20th March 2015. Tickets priced £30 and £40 are available direct from Antonio on 07535 806545 and will also be available at Grand Central Hall on the night.